I wish there was a way to give 3.5 stars. 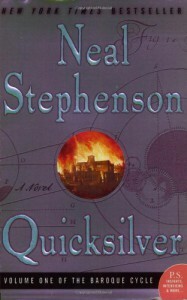 Stephenson's writing style just didn't resonate with me. As much as the research and prose were excellent, I never felt invested in the characters. I felt more like a spectator than a reader, if that makes sense.